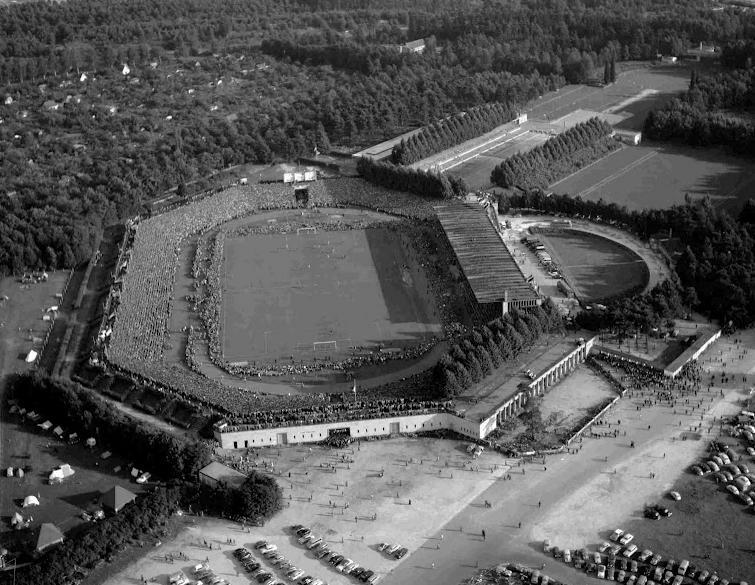 Max-Morlock-Stadion, originally called Städtisches Stadion and also known as Frankenstadion and Stadion Nürnberg, got built between 1926 and 1928. It could initially hold about 50,000 spectators. In the 1930s, the stadium and surroundings became an important rally ground of the Nazi Party and in particular the Hitler Youth. 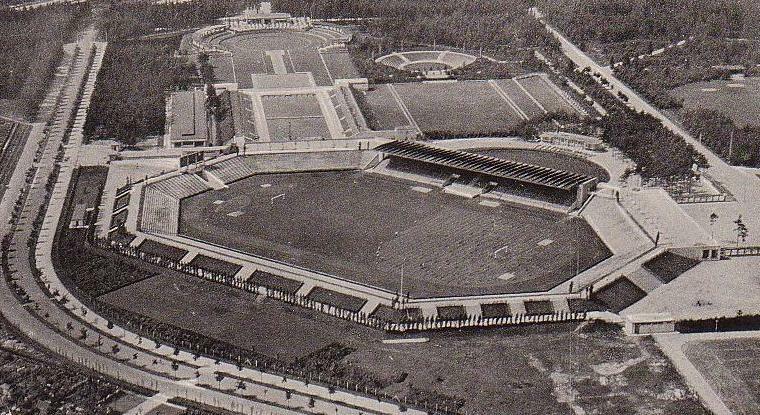 Directly after the War, the stadium then turned into a sports field used by the US Army. Few football was played at the stadium in its first decades. 1. FC Nürnberg kept playing at their Spielstätte am Zabo ground, and only in 1963 made the move to the larger Städtisches Stadion. In the next few years, the stadium got gradually expanded, resulting in a capacity of about 75,000 by 1971. The city of Nürnberg, however, passed on the chance to further modernise the stadium and become a host city of the 1974 World Cup. 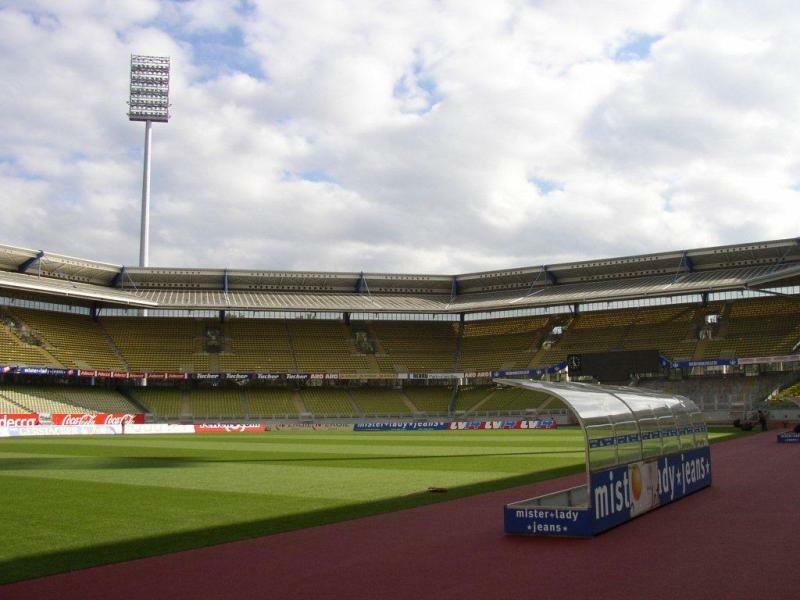 Städtisches Stadion underwent a large redevelopment between 1987 and 1991, which included the construction of a roof, but also reduced capacity to just over 50,000. It got subsequently renamed Frankenstadion. 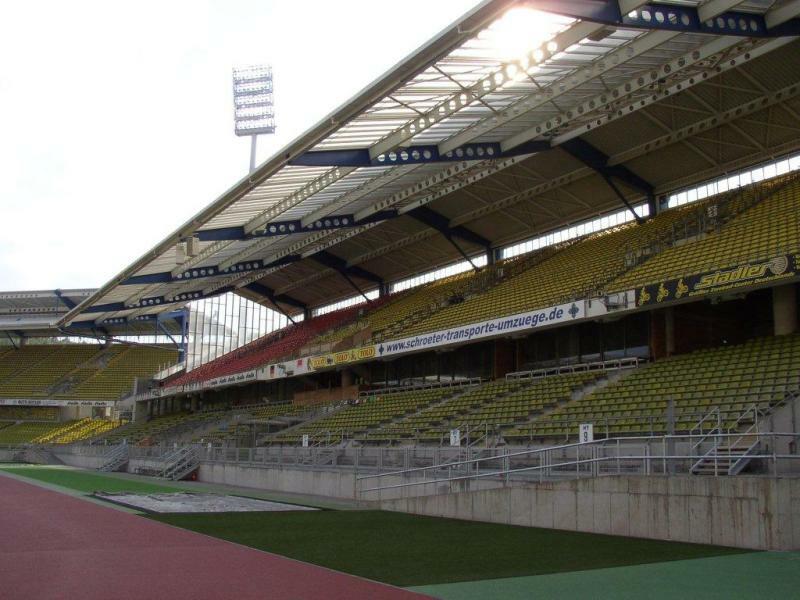 Frankenstadion got further renovated in 2004 and 2005 in preparation of the 2006 World Cup. During the World Cup, it hosted four group matches and the round of 16 match between Portugal and Holland (1-0). Right after the World Cup the stadium got renamed again, this time to easyCredit-Stadion as a result of a sponsorship deal. This deal expired in 2012, after which a new deal resulted in Grundig Stadion, which ended in 2016, following which the stadium took on the name Stadion Nürnberg. 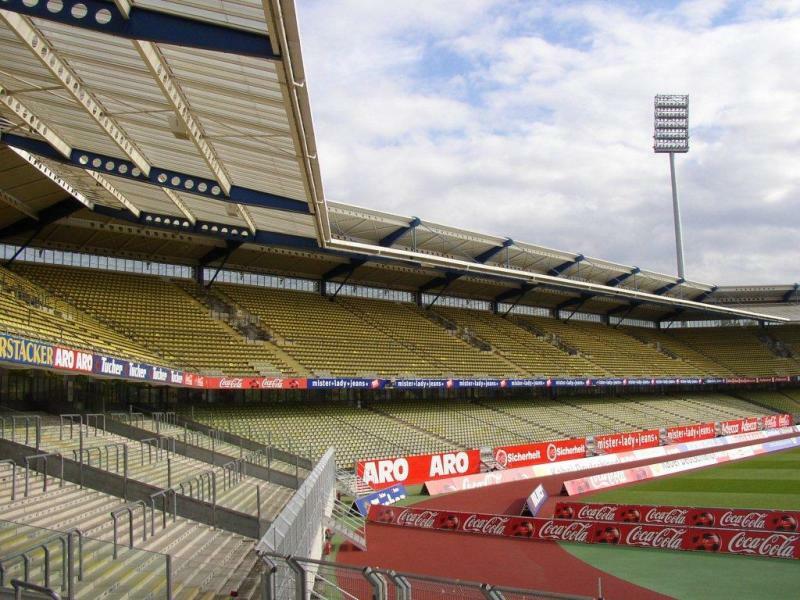 In 2017, the stadium got renamed Max-Morlock-Stadion after the former Nurnberg player following a crowdfunding campaign in corporation with the Consorsbank, which had secured the naming rights of the stadium. Max-Morlock-Stadion is located in the south-east of the city of Nuremberg in a green area of parks and other sports facilities. It lies just over 4 kilometres from Nuremberg’s main railway station, and a little more from the city’s old town. You can get to the stadium with overground metro (S-bahn) line 2 from the main railway station. Get off at stop Frankenstadion. An alternative is tram 9. From Nuremberg’s old town (the western side) you can take tram 6. Get off at stop Dutzendteich or Doku-Zentrum. Tickets for FC Nürnberg matches can be bought online, at the Service-Center at Stadion Nürnberg, at the Fan-Shop at the Ludwigstraße 46 (old town), or at the Fan-Shop at Nürnberg’s training ground (Valznerweiherstraße 200). Nurnberg’s attendances are amongst the highest in the 2. Bundesliga, but don’t sell out more than one or two matches per season. Expect to pay between €22.00 for an upper-tier seat behind the goal and €46.00 for a central seat at the main stand. A ticket for the standing areas costs €14.00. For more information email service-center@fcn.de or call +49 (0) 911 21 73 333. Max-Morlock-Stadion offers guided stadium tours that visit the VIP and press areas, control room, mixed zone, dressing rooms, and police cells. The tour lasts 75 minutes. Tours run typically once a week on Thursday afternoon from April to October. There are no stadium tours the rest of the year, though FC Nurnberg organise tours on the day of the match a few hours before kick-off. Check online for the current schedule, bookings are not required. For more information email info@stadion-nuernberg.de or call +49 (0) 911 81 86 235. FCN.de – Official website of 1. FC Nürnberg. Stadion-nurnberg.de – Official website of Max-Morlock-Stadion. Tourismus.nuernberg.de – Official website of the Nuremberg tourist centre. VGN.de – Public transports information for the Nuremberg area.